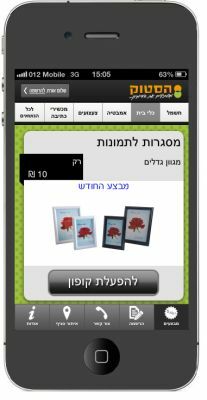 Graphic design and implementation of iPhone and Android applications. Hastok is a leading chain store for home products, with dozens of locations in Israel. Sinapis enabled Hastok to get closer to its customers using a mobile app. The mobile application provides the ability to send personalized promotional communications to registered club members using notifications. 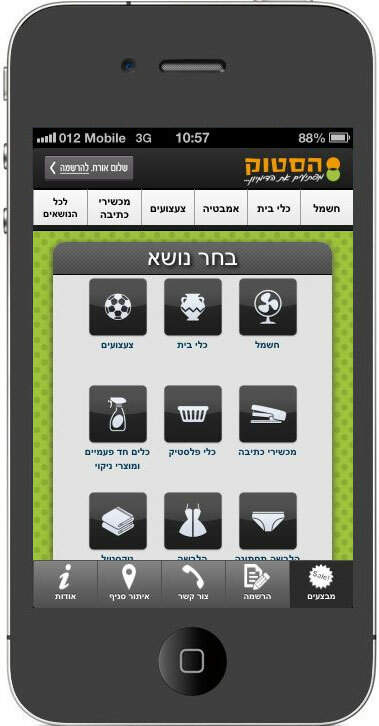 The application also provides product catalog, stores information and automatically identifies the nearest store to you.